Being Grateful for all the Nurses that cross our path! Easy Access! Get the latest from the the Foundation here. National Nurse's week is celebrated May 6th to May 12th. This incredibly noble profession isn't always recognized as it should. Aside from treating patients that can be very sick or injured, nurses provide advice and sometimes much needed emotional support to patients and their families as well. Being a nurse goes beyond helping doctors in the diagnosis and treatment of patients. In recognition to the amazing work nurses do to help our health in the research field, and to honor the help of one of our own, the Howell Foundation established the Cheryl A. Wilson Nursing Scholarship 6 years ago. Current CEO of St. Senior Homes & Services in San Diego, Ms. Wilson holds a Master’s degree from the University of Redlands, MA and an RN from Prince Henry's Nursing School. Ms. Wilson has earlier experience as a Critical Care/Operating nurse and consultant to long-term care programs/new programs & facilities development. Prior to her current position, she also was a Pediatric Clinic Supervisor and an instructor for the Nursing Administration examination for Med-Ed and American Nurses College. Cheryl has served on the Howell Board in many capacities, including that of Chair. In her name, important research on women's health is currently taking place. 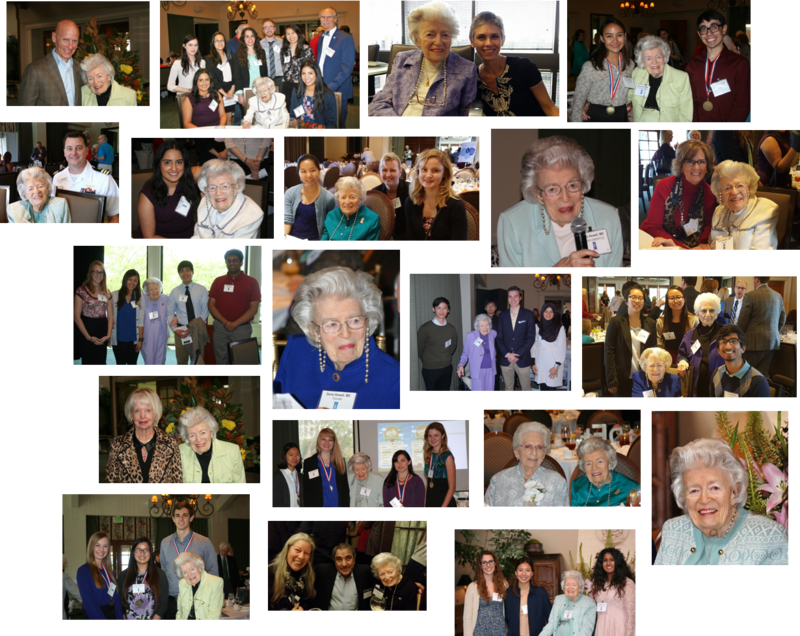 Meet some of the Howell Nursing scholars, the fields of research and their results below. And to all the nurses out there who have taken care of us at some point or another, THANK YOU! "There is an old joke that if you don't remember your anesthesia provider they must have done their job well. While there is a bit of truth and humor in that statement, it is my goal as a nurse anesthetist to disprove that joke. Every interaction is a chance to inform our patients of the value of advanced nursing practice and to hear directly what is most concerning about their health. My role as a Navy Nurse has exposed me to a world of diverse health needs and tremendous opportunities for nursing research- I intend to seize the opportunity!” comments CDR Nations. One of the 2015 Cheryl Wilson Nursing Scholar LT CDR Ryan Nations continues: “Sleep Disordered Breathing (SDB) during pregnancy is associated with significant maternal and neonatal morbidity and in-hospital mortality. A recent prevalence study using the Nationwide Inpatient Sample reported an obstructive sleep apnea (OSA) prevalence of 7.3 per 10,000 in 2013; this is a dramatic increase of 24% per year over the last decade. The increase in OSA mirrors the rise in obesity rates. Women will be screened at delivery for SDB using the Facco Four Variable model to determine the prevalence of SDB and its association with maternal and infant outcomes. The purpose of this study is to identify the prevalence of SDB and its complications in parturients presenting for delivery at a military treatment facility”. Jodi O'Brien, also a 2015 Howell Nursing Scholar comments: "My study seeks to reduce women's health risk for breast cancer, type 2 diabetes, cardiovascular disease, some (reproductive) cancers, postpartum depression, and rheumatoid arthritis, by investigating infant feeding patterns and nurse factors placing a mother and infant dyad at risk for in-hospital formula supplementation". "Unnecessary in-hospital formula supplementation denies women and infants the full health benefits of breastfeeding exclusivity and increases adverse health risks for both. Given that 97% of all women in the US deliver their infant(s) in the hospital, this study is important to better understand factors influencing breastfeeding outcomes which directly affect women's health. Results will help clinicians and policy makers improve strategies to increase in-hospital breastfeeding exclusivity, and improve the overall health of women”. Jennifer Buechel, 2014 Cheryl Wilson Scholar comments: “As an Adult Nurse Practitioner, I have first-hand experience in how challenging it is for clinicians to provide routine and preventive care for female military populations in an operational environment, including sexual health and immunization prevention programs. I have the opportunity as a future nurse scientist to significantly improve health policy and education through research and evidenced-based practice". "Thank you to Dr. Howell and the members of the Howell Foundation! I was awarded a Howell Scholarship in 2014. The funding helped me to support my dissertation study on HPV knowledge and HPV vaccine uptake among U.S. Navy personnel. I have collected my data from over 350 participants in the U.S. Navy, and currently analyzing the results. The findings will help support preventive medicine and sexual health programs in the armed services. In addition, it will help the fight against cervical cancer (the #1 related cancer to HPV), both nationally and globally". 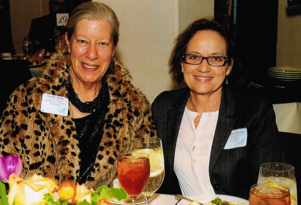 Carmen Colombo was the 2013 recipient of the Howell Foundation’s Cheryl A. Wilson Nursing Scholarship. She is a 2014 graduate of the University of San Diego’s Hahn School of Nursing and Health Science with a Doctor of Philosophy in Nursing degree. Carmen is the Chief Nursing Officer of Sharp Mary Birch Hospital for Women & Newborns. The Howell Foundation Scholarship provided funding for her research dissertation, “Fetal Heart Monitoring, Nursing Surveillance, and Cesarean Birth”. Dr. Colombo designed this study to determine the role nurses’ monitoring and interpretation of fetal heart rate during labor predicted a Cesarean section outcome. The importance of this study rests on the fact that in 2012, the most recent statistics available, one in three births in the US were by Cesarean section. The Doris A. Howell Foundation for Women’s Health Research is committed to keeping the women we love healthy, advancing women’s health through research and educating women to be catalysts for improving family health in the community. The organization does so by funding scholarships to students researching issues affecting women’s health; providing a forum for medical experts, scientists, doctors, and researchers to convey timely information on topics relevant to women’s health and the health of their families through its Lecture and Evening Series, and by funding research initiatives that improve the health of under-served women and increase awareness and advocacy in the community. To learn more about the Foundation, visit www.howellfoundation.org. The doctor diagnoses and treats an illness. Yet, the bottom line is that nurses are the ones who actually take care of our loved ones. This year, the Cheryl Wilson Scholarships were awarded to Ph.D Candidates Ellen Fleishman and Michelle Lee. The Cheryl A. Wilson Scholarship was established 6 years ago to honor her for all her work at the Doris Howell Foundation. A nurse herself, Chery is the Chief Executive Officer of St. Paul's Senior Homes & Services in San Diego. Proposals for the scholarphips are assessed for their impact on women’s health, research design, scholar qualifications and feasibility of accomplishing study goals. Each student must have a qualified research mentor to direct and guide them. Celebrating the life of a remarkable woman. It is always a pleasure and an honor to work with wonderful women. Dr. Skaidrite Krisans, or Skai-- as we called her-- always had a great sense of humor. Her energy and love for life was just contagious. "Skai was a fitness buff and was always willing to try the next new workout," comments Kay Pierce, Treasurer of the Foundation. "For a while she did the Perfect Workout-- moving very slowly while lifting weights. I would meet her at her gym and join her in this work out… years ago…"
It is with great sadness that we mourn the passing of a remarkable woman who inspired us all. She truly believed that the way to fight bias against female in research was through education. In doing so, she touched the life of many. Devoted to improving the lives of others, her pervasive humanitarian outreach to those in need and to education is legendary. The Doris A. Howell Foundation for Women’s Health Research is committed to keeping the women we love healthy, advancing women’s health through research and educating women to be catalysts for improving family health in the community. The organization does so by funding scholarships to students researching issues affecting women’s health; providing a forum for medical experts, scientists, doctors, and researchers to convey timely information on topics relevant to women’s health and the health of their families through its Lecture and Evening Series, and by funding research initiatives that improve the health of under-served women and increase awareness and advocacy in the community. Get the latest on Women's Health! On Science and Tattoo’s: One that you might DEFINITELY want to get! The Howell Foundation will be kicking off the year with a presentation on tattoos… not the kind that stay with you for life, but the one that can definitely help in saving your life. What was once thought to be science fiction is becoming a reality, thanks to the research of Dr. Todd Coleman at UCSD. His research is making strides in marrying computer sciences with biology and neurology through the elaboration of a flexible, portable “tattoo” that picks up electric signals in the body and transmits them wirelessly to any medical electrical device through applied mathematics. The power of DNA testing in personalized medicine. Imagine your family free of the possibility of illness... finally having your health in your hands and making informed decisions to treat an illness that does not appear to have a cure. Our guest speaker certainly provided hope in the realm of personalized medicine. Karen Possemato, Chief of Staff at iIlumina, presented concrete evidence on how DNA testing can help treat a specific disease; leaving no doubt on how the field of genomics is becoming more utilized and creating more impact in the way illness is treated today. Howell -UCSD 2016 Scholar on Ovarian Cancer: A Personal Experience Turned to Research. Jaidev Bapat, one of the recipients of the Mirandon Foundation Scholarships is focused on a form of cancer--ovarian. Jaidev's work in the lab will focus on ovarian tumor metastasis and on understanding how it acquires drug resistance, as well as alternate approaches for treatment. Jaidev's project, "Exploring the Effects of Heterozygous Deletion of BECN1 and MAPILC3B Genes in Ovarian Cancer Cells," centers around understanding how either initiation of autophagy or inhibition of autophagy alters growth dynamics of ovarian cancer cells. Honoring one of our own during Palliative Care & Hospice month! 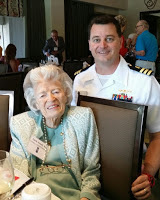 She is affectionately called the 'mother of hospice' in San Diego. She has influenced hospice and palliative care nationally. And in honor of her work, she has been named "Woman of Wonder" by the CHEERS Foundation. 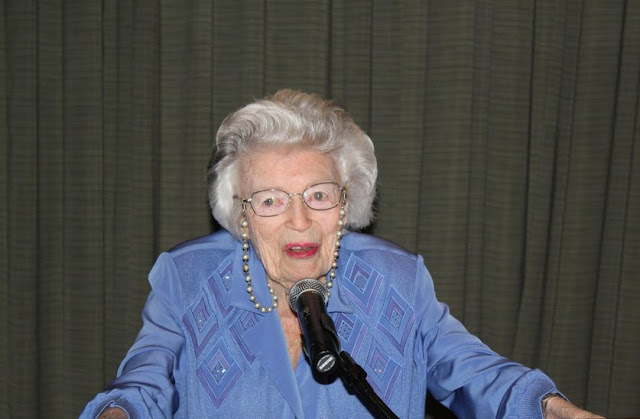 She has addressed the La Jolla Women's Club on the adventures of creating a hospice organization in San Diego. Just recently, the California State Institute of Palliative Care named in Dr. Howell's honor an award given to individuals that advance palliative care in our community and beyond. She has done so much more! 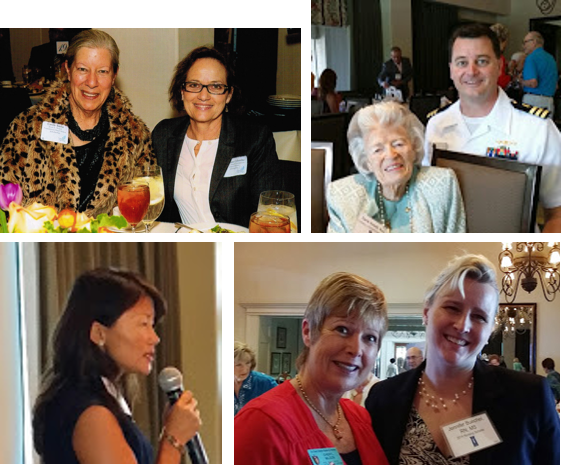 She is the reason why Soroptimist International of La Jolla founded the Doris A. Howell Foundation for Women's Health Research. And she is, quite frankly, a star in our organization. Over 70% of people report living in a state of chronic stress? Happiness results from the strength of your neurological pathways and strengths are more powerful than weakness? Your emotions have executive power in your brain? There is not one strategy that leads to happiness; it results from dedication to a holistic—or mind, body, and spirit—approach. It takes focus, effort, and intention on a daily basis. Life then, becomes a happiness journey, not a destination to attain. Everyone wants to be happy. In fact, most everything we do is because we believe on some level it will make us happy. We have been led to believe that when we are unhappy or stressed, all we need to do is change the way that we think and we will be happier. Or is it? 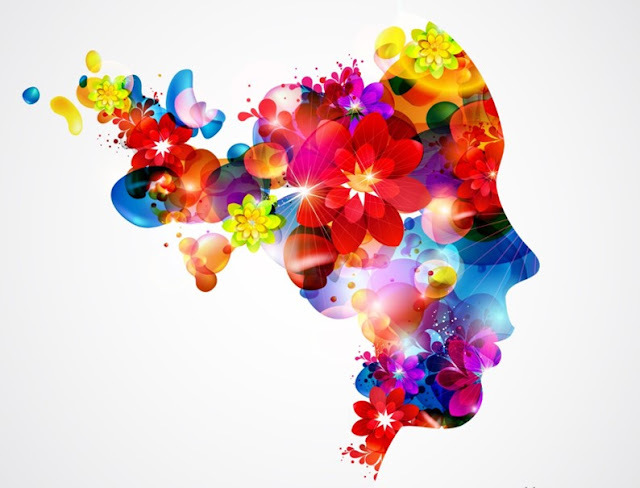 Women and Alzheimer's: Facts and figures we ALL need to know. It is often thought that Alzheimer's disease is indiscriminate of age, race and gender. However, diagnosis in women goes beyond the fact that women live longer than men. Recent research is showing that more women are diagnosed with the disease than men. In support of Alzheimer's awareness month, a summary of the most relevant information below. 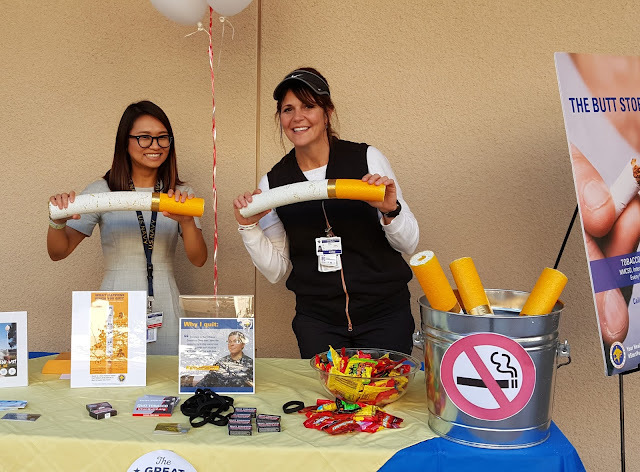 Organization's throughout San Diego supporting smoke out day! Two things to keep in mind when discussing your health: Intermittent fasting and sedentary behavior. 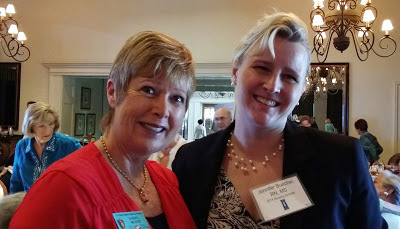 Dr. Dorothy Sears, Associate Professor of Medicine from UCSD came to speak at the Howell Foundation's luncheon last May with pretty interesting research on 2 key concerns and how they, for sure, improve or undermine our health: intermittent fasting and sedentary behavior. Turns out our parents were right: Eat your fruits and vegetables and exercise! With the just released information from the CDC regarding the obesity epidemic in the US --now at 40% for women-- it is more than clear that type 2 diabetes, cancer and cardiovascular disease are also on the rise. The benefits of a lifestyle makeover are clear: not only does it help to improve our health and reduce the risks of a life-changing disease, but also minimizes the adverse effects of medication while promoting healthy aging. Not because we are old, but because we will eventually get there! Let's make our journey easier! Have you ever wondered what steps we can take to prepare ourselves for healthy aging? Do we even know where to start? 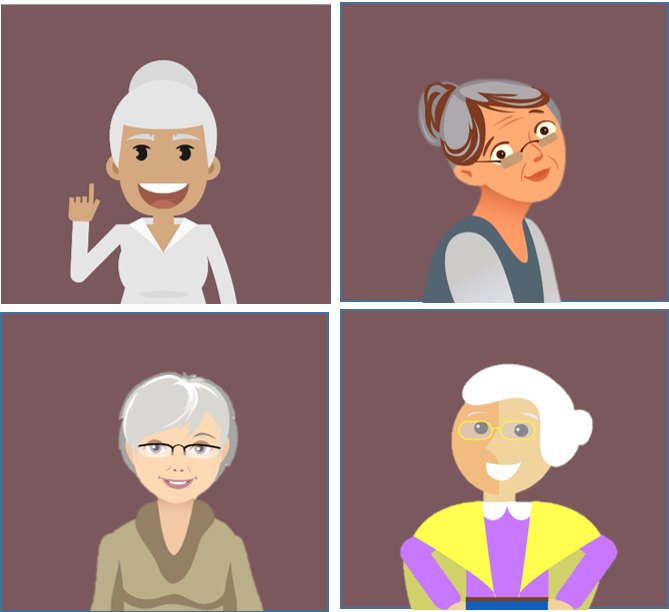 What resources are available to us to ensure a happy aging process? What do we need to consider if we are taking care of a family member? The Howell Foundation will celebrate its last luncheon of the year on November 11 with a topic that concerns us all: 'Intelligent Aging". We have the honor of hosting two experts that can give us a in-depth perspective on the intelligent steps to to take in our aging journey. Claudia Kawas, MD, Professor of Neurology, UCI School of Medicine, and lead investigator of the “The 90 + Study” (as seen on 60 Minutes) is dedicated to advancing knowledge about the cognitive and physiological changes that occur in aging. Since 1989, hundreds of older adults have contributed their time and effort to helping scientists explore healthy brain aging. Honoring the Women you love this holiday season! Have you considered honoring a loved one with a donation to the Howell Foundation? Because we ARE different, genetically, anatomically and psychologically. 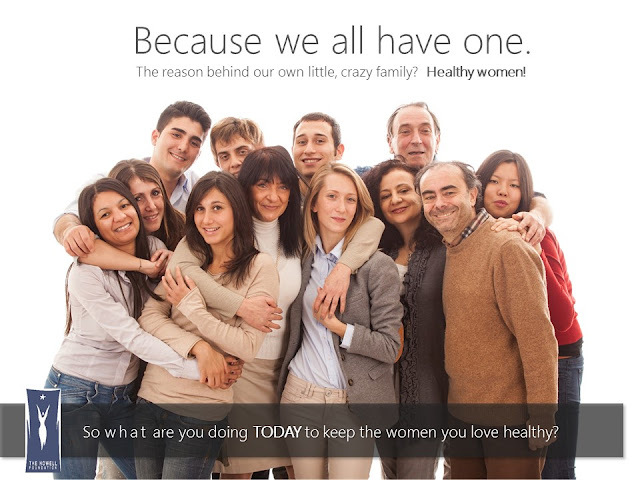 So what leads many to believe that women and men should be diagnosed and treated the same when it comes to our health? We do not have heart attacks the same way. We do not face stress the same way. We do not react to Ambien the same way.